"This powerfully vivid story has the immediacy of Napoli's always-immaculate prose, coupled with a basis in family lore and urban history that make it irresistible...History comes to vibrant life for middle-grade readers and almost anyone whose ancestors came from foreign lands. 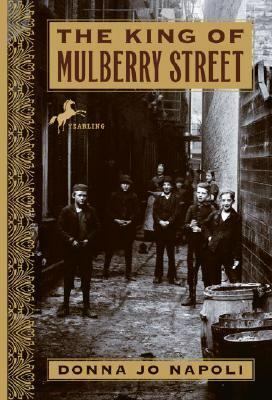 "Napoli, Donna Jo is the author of 'King of Mulberry Street ', published 2007 under ISBN 9780553494167 and ISBN 0553494163. Loading marketplace prices 40 copies from $0.21 How does the rental process work?